I have a pet peeve. I hate when people don’t respond quickly to emails, texts, voicemails. And it seems like the time frame for hearing back from people is growing. To me, it’s like saying something in a conversation and the other person just blankly stares at you with no reply. Statistics say that people respond quickest through text. Then emails. Then voicemail. In fact, people are less apt to check their voicemail than the other 2. Recently, another study showed that the majority of people actually like getting branded emails. So what do those 2 things have in common? Your clients/customers/audience have been communicating with you all year long. They want to hear back from you. Especially during holidays. Thanksgiving is coming up and you should have a way to send them a quick email to say “Thank you”. Not a commercial message. Not a sales call. Just a simple reply to all their work. What do you need to do this effectively? Email addresses. Have a process to find out their primary email address. He who dies with the most emails on their list, wins. Database. 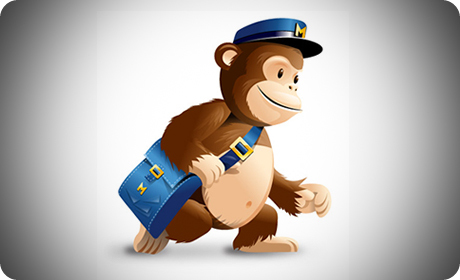 Make sure you have a database management system (like MailChimp or Constant Contact). This system allows you to quickly and easily send branded emails to your list. And people can forward them or remove themselves from your list. You can also get the metrics of who reads your emails. Custom Templates. You NEED to have your emails looking like your brand. Colors, fonts, design. That way your audience knows it’s from a trusted source and they’ll be less likely to remove themselves from your list. So go ahead; reply to your clients. The best way you can. You owe it to them.